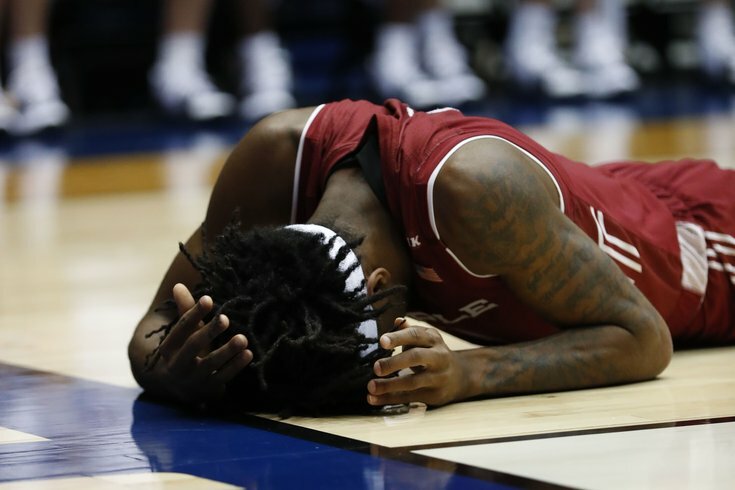 Temple had a very short dance in the NCAA Tournament. What was likely to be the last TV time out in Fran Dunphy's eventful career as a coach in college basketball came and went with the Owls trailing Belmont by double digits with just under four minutes to play in a battle of "First Four" 11-seed's Tuesday night. Belmont protected the ball and took smart shots and bested the Owls 81-70 in Dayton Tuesday, ending their season — and punctuating Dunphy's last. It was a game that saw several runs back and forth with Temple leading on and off, but it eventually tipped in the Bruins' favor, with yet another short postseason appearance perhaps fitting for one of the Big 5's all time great coaches in the regular season. Dunphy now has a 3-14 mark in 17 NCAA tournament appearances, as another big name in Philly Aaron McKie will take the reins next season with Temple's top two stars departing (in senior Shizz Alston Jr. and Quenton Rose — who declared for the draft). The 70-year-old coach will end his career with 580 victories in 30 seasons with TU and UPenn. Temple ends a promising 22-win season before making the field of 64, when the tournament begins in earnest Thursday. The Owls had some juice early, bursting after a slow start to a 14-2 run after back-to-back three-pointers from Alston and J.P. Moorman. Belmont gained control in the latter part of the first frame, inching to a modest six-point advantage after 20 minutes. In the second half, another slow start plagued the Owls, but a dynamic run a few minutes in helped them overcome a double-digit deficit and seize the lead (thanks to a huge 21-7 run). Down the stretch, it was all Belmont. Though only the first four (and Temple's first first four ever) it was just the Owls' second NCAA Tournament appearance since 2013. Belmont will have a pretty good chance of winning Thursday against Maryland, as a No. 11 seed — from the play in — has won more than 55 percent of the time since the field expanded to 68 teams. Alston led the Owls, as he usually did, with 21 points, as Nate Pierre-Louis and Rose also scored in double figures. The win was Belmont's first ever in the big dance.